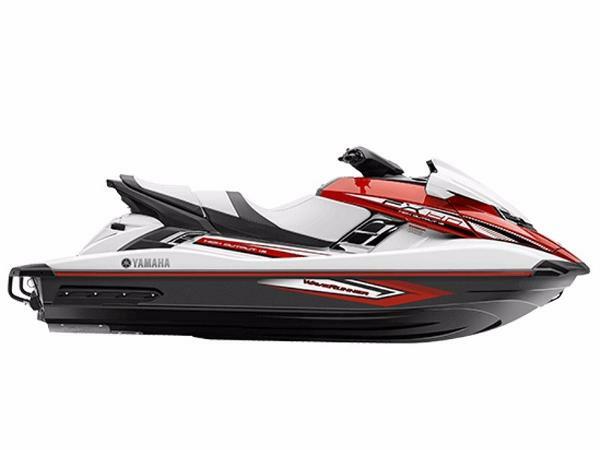 2019 Yamaha WaveRunner FX HO We've crafted the ultimate experience with the FX Series, designed for every moment you spend on the water. Featuring the world's first multi-mount system for accessories (sold separately) including Bluetooth speakers and a GPS fish finder, the 2019 FX Series offers a new way to run the water. Yamaha's industry-first Connext touchscreen features Drive Control that allows you to customize your ride, and provides all vital display functions, and security mode to prevent unauthorized use.Yamaha RiDE is the world's first dual handlebar throttle controls will change everything you know about riding and operating a personal watercraft. Yamahas SVHO® engine is the top choice for the race course, and also available for your lake. 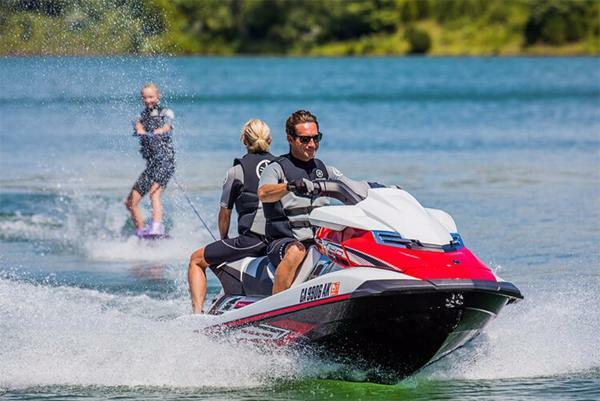 There's never been a PWC engine like the SVHO® from Yamaha. More displacement, torque and power than any other WaveRunner® engine before it. 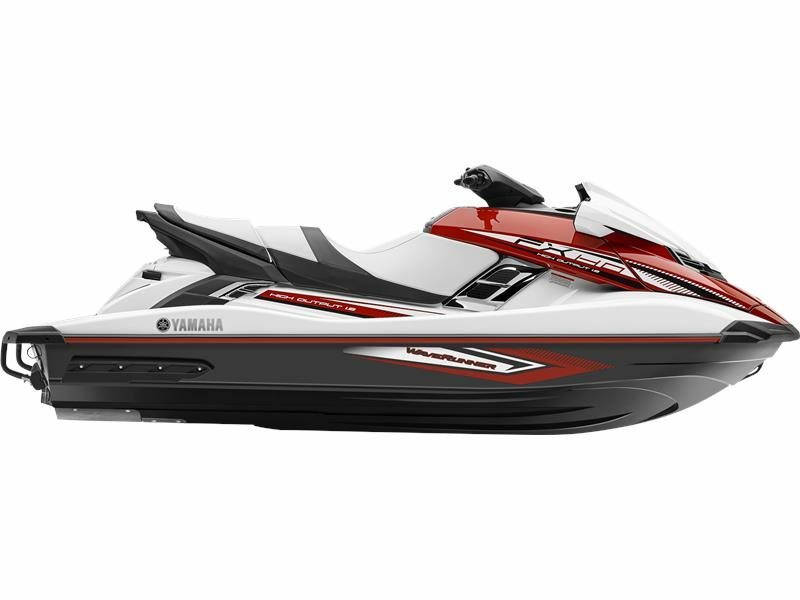 2016 Yamaha Boats FX HO 2016 Yamaha FX® HO FUEL EFFICIENT PERFORMANCE, COMPETITIVE PRICE An impressive mid-range platform packed with revolutionary technologies, Yamaha Marine engine performance and premium featuresall at a price that makes it one of the best buys in the industry. Features may include: RIDE The world's first dual throttle handlebar control system gives riders a more confident driving experience. STORAGE Plenty of storage at the bow to bring along essentials for the day. CRUISE ASSIST/NO WAKE MODE Cruise Assist reduces throttle tension and No Wake Mode allows effortless navigation through controlled areas. LOW RPM/SECURITY MODE With the ability to control both Low RPM Mode and Security Mode, the remote transmitter can be used to increase fuel-efficiency or disable the engine to prevent unauthorized start-ups. REBOARDING STEP Reboarding made easier with a step that tucks away easily when not in use. WATERTIGHT STORAGE Spacious dry storage area is perfect for towels and other essentials. 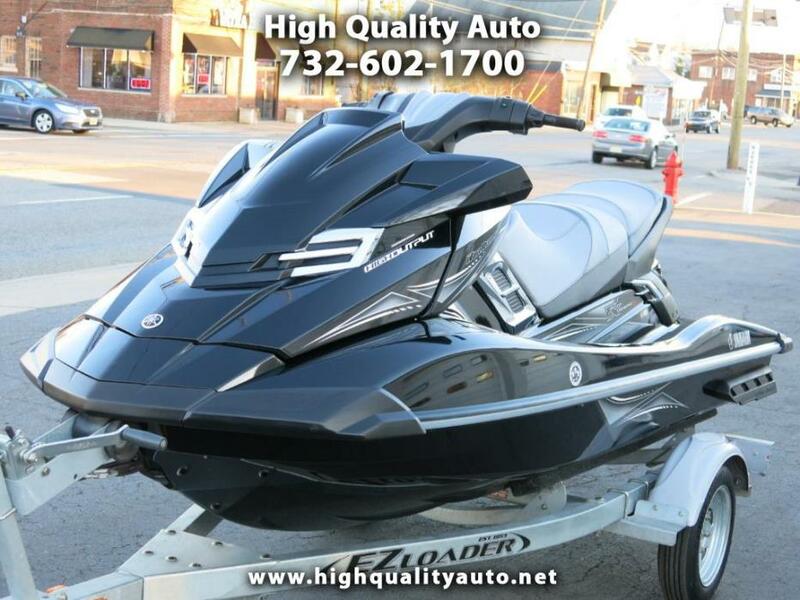 2017 Yamaha Boats FX HO 2017 Yamaha FX HO "CLICK FOR QUOTE" AND CHECK OUT OUR NO HAGGLE PRICING! No extra Freight Charges! Due to our Sales Volume and Multiple locations, please call to verify particular units in stock. Prices and Availability subject to change at any time. 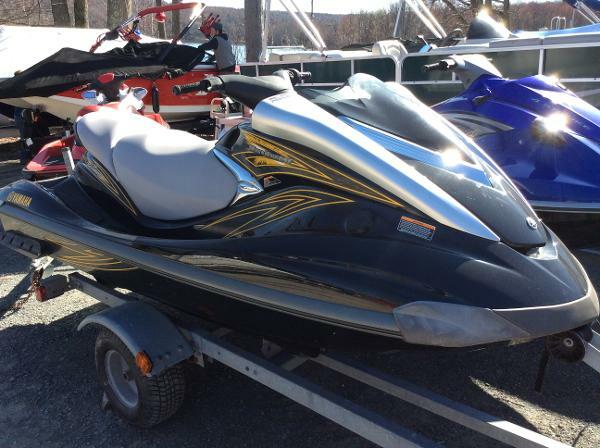 2007 Yamaha WaveRunner FX HO Very clean one owner ski with 135 hours, four stroke, rear step and trailer included. 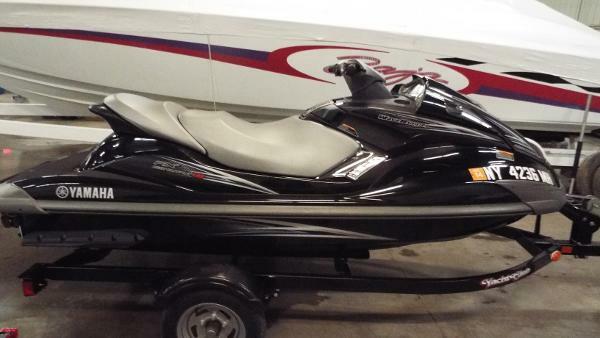 2014 Yamaha FX HO 2014 Yamaha Waiverunner HO with only 10 hours on the clock. Practically Brand New. Engine 4-cylindar, 4 stroke, 1.8Liter High output Yamaha Marine. Produces 80HP Being sold with EZLoader trailer and Cover. Atandard features: Cruse Control, Electronic Trim Control, Tilt Stearing Wheel, Traction Control, Folding Rebording Step, Low RPM Mode, Reverse, Security System, Side View Mirrors, Ski Tow Eye. Storage Capacity is 33.2gal, with Fuel capacity 18.5 gal. 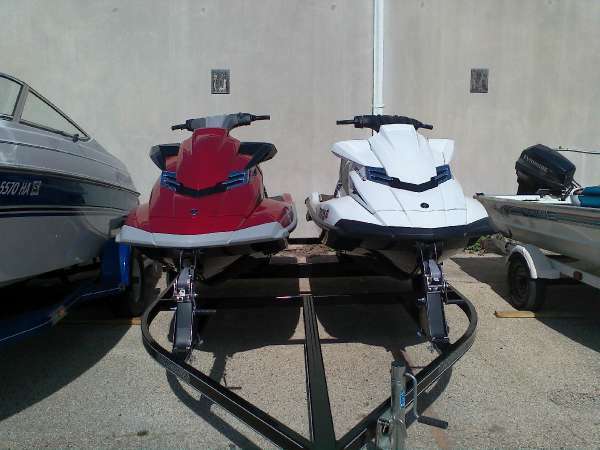 2011 Yamaha FX HO 2011 YAMAHA FX HO THREE RIDE WAVERUNNER. WITH 180 HP FOUR CYLINDER FOUR STROKE ENGINE FOR GREAT PERFORMANCE AND CLEAN AND QUIET OPERATION. 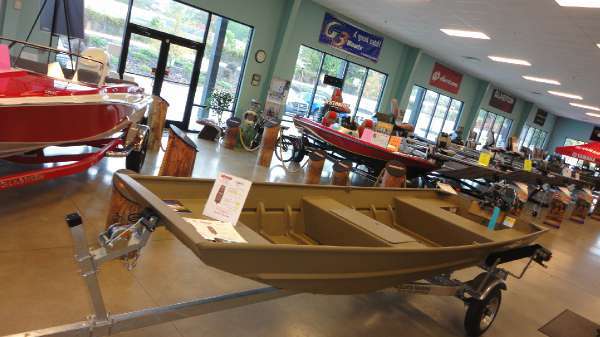 HAS 18.5 GALLON FUEL CAPACITY AND OVER 23 GALLONS OF STORAGE. SUPER CLEAN AND INCLUDES TRAILER.